I see there's a kit coming out of the gorgeous Sea Gladiator in 1/32nd scale, That would be so cool. I know a number of New Zealanders flew the Sea Gladiator whilst training at RNAS Yeovilton and perhaps on other stations in the Fleet Air Arm, including Don Nairn, but does anyone know if any kiwis flew the type in actual combat? Is there much difference between the Sea Gladiator and the plain RAF Gladiator? 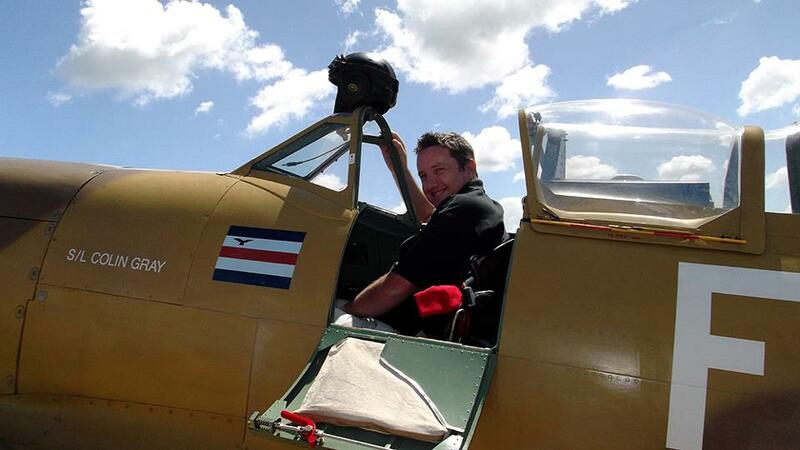 Cambridge-born airman Hal Thomas flew Gladiators in Africa doing weather flights. I guess a lot of kiwis flew them in the RAF too? It looks like there were kiwi's flying Gladiators in Combat in Norway, etc. This website: www.nzetc.org/tm/scholarly/tei-WH2-1RAF-c3.html , names: Group Captain P. G. Jameson, DSO, DFC and bar, born Wellington, 10 Nov 1912; Flying Officer H. E. Vickery; born Invercargill, 7 Sep 1913; Pilot Officer L. R. Jacobsen, DFC; born Wellington, 5 Mar 1915 all flew Gladiators. Interesting, I thought Jameson flew the Hurricane in Norway. Jameson did fly Hurris in Norway Dave as he was with 46 Sqn. Vickery and Jacobsen were on Gladiators as they were with 263. Don't have time to delve into books right now but there will be NZers stationed in Malta and probably the African campaign who will have seen action whilst on Glads. Oops sorry my blunder. I skipped over a fital bit of the text and missed the word hurricane. Jameson was flying hurricanes.